The product works great. 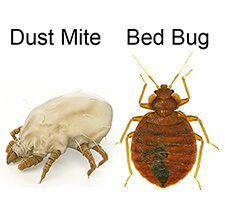 I’ve never had bed bugs before, didn’t quite know how to deal with them. I initially tried a chemical product that wasn’t effective at all. I’d still wake up and see the stains the little nuggets left. I then stumbled onto bed bug barrier. The effect seemed instant, nothing overnight and not one sighting of a bug since. And the great bonus? It’s a natural product. Would definitely recommend this product to anyone with bed bugs problems.